We passed a lot of familiar landmarks (Exhibition Center, Princess Theatre, Treasury Building) on our way out of Melbourne, then crossed through miles of suburbs, and finally headed up into the mountains–the Dandenongs. Winding upward, through dark forest, we came at last to Sassafras, and not long after, to Judy and Geoff’s handsome, tree-swathed, 10-acre mountainside ranch. The house is built just below road level, but still high enough to have an amazing view of the paddocks, forest, and valley below. Picture windows and a large wooden deck make the splendid scenery always easily available for viewing. The house is surrounded by gardens, made possible by a series of stonewalled terraces and accessible by stone steps and paths. Judy and Geoff have certainly put an astonishing amount of work into this place. 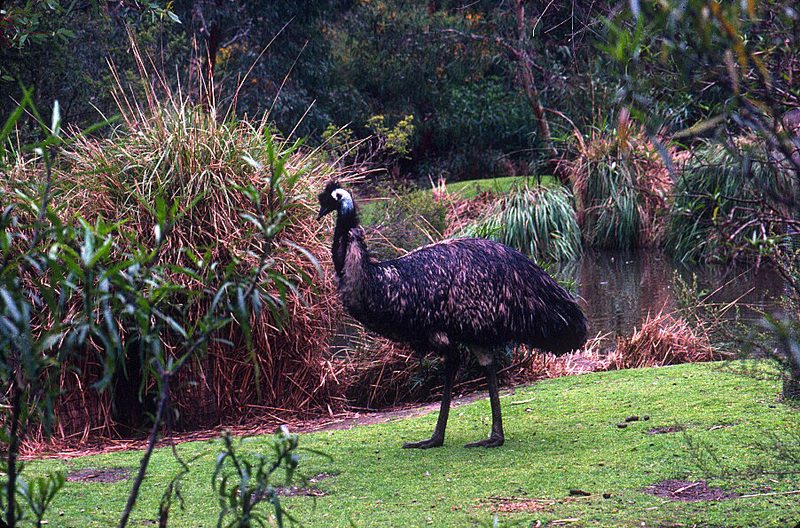 Judy explained that native plants are particularly abundant in the garden because they are more likely to attract native wildlife, from possums to parrots. There are, in fact, a great number of birds here. 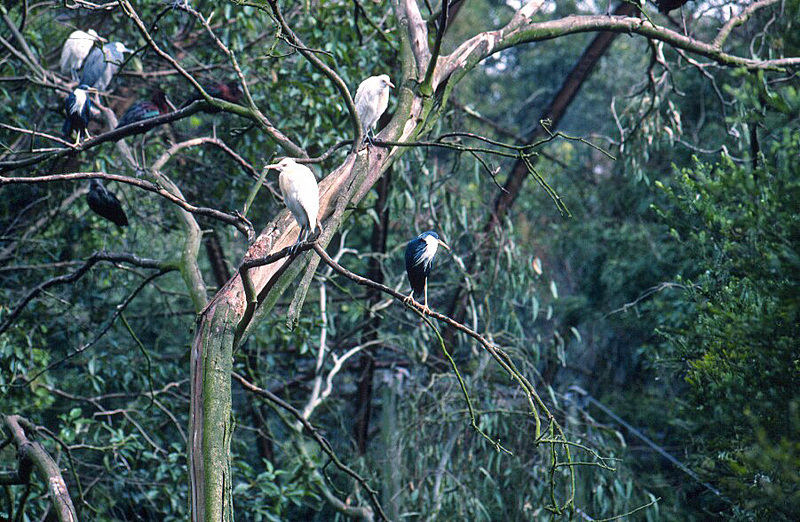 I’ve already seen kookaburras, butcherbirds, magpies, cockatoos, Eastern rosellas, and others I can’t identify. Judy said I’d definitely see more before I left. 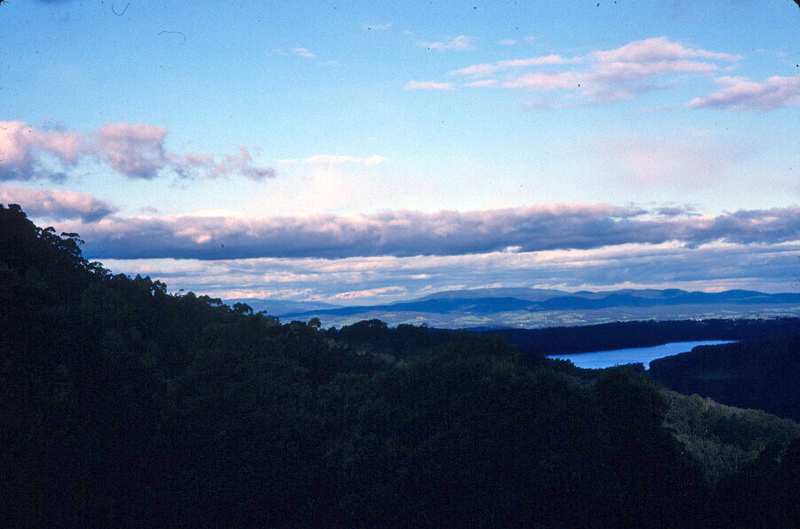 Below the garden, broad paddocks slope down to the gooseberry and chestnut orchards, all bounded by dense stands of mountain ash and tree ferns. I was shown to the charming guest room, where I dropped my bags. 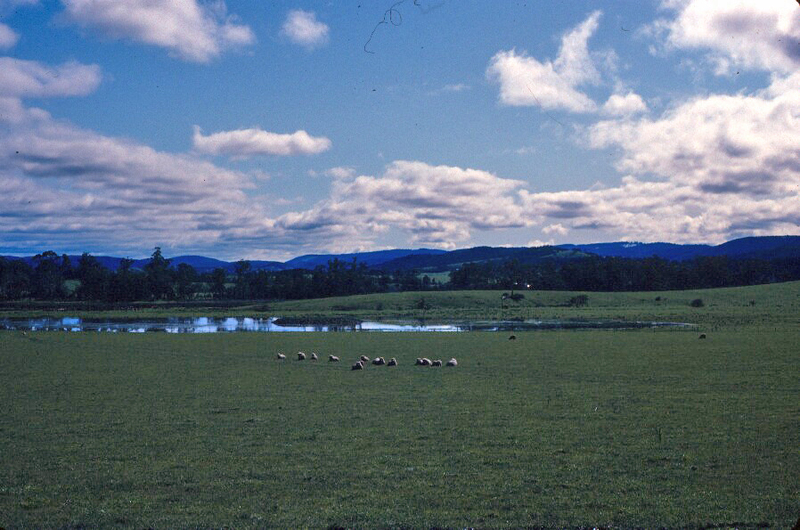 Then, after a brief tour of the rest of the house, we headed back outside–because there is always work to be done on a ranch. I helped Judy carry feed out to their two horses, Hoss and Rahmyl. Hoss is the “old man” of the farm, pretty much in retirement, but Rahmyl is an exuberant 5-year-old dapple-gray gelding. 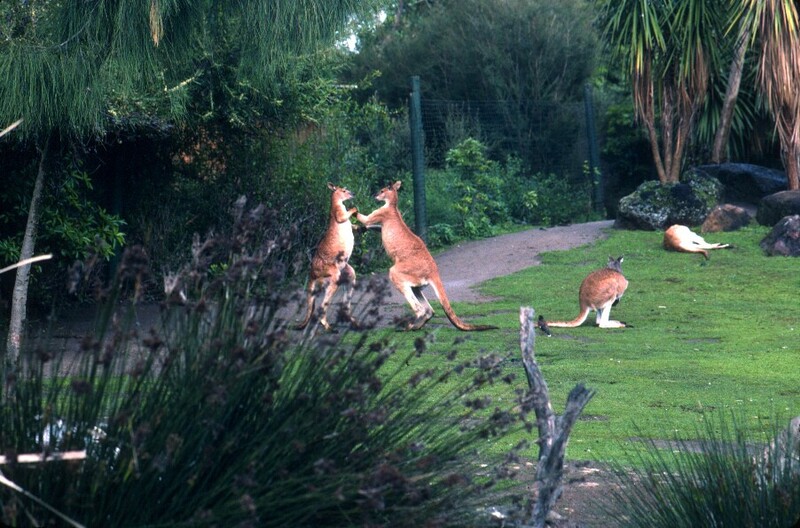 Both were waiting at the fence when we approached. Next I was introduced to the dogs. Bullett McQueen is a sturdy-looking Australian blue heeler and Scamp is an ancient, blind silky terrier. Chores done, we headed back into the house. This is a wonderful place, full of books and evidence of the Judy and Geoff’s interest in horses, horticulture, and Australian history. And my hosts are charming, gracious, generous people. We have corresponded since my first trip, but letters and a week on a riding trip with Judy were my only connection with them, and yet they have made me feel incredibly welcome. Hiking up and down the sloping paddocks builds up the appetite, so I wasn’t disappointed when Judy said it was time to fix dinner. The kitchen is large, open, and well equipped, and Judy is an excellent cook. She prepared a lovely meal of beef shashlik and veggies, with a steamed pudding for dessert. Then we chatted over coffee and port, catching up on the years since we were last together, discussing what we’d do while I’m hear. Finally, it was time to say good night, and I headed off to the very comfortable bed in the delightful guest room. A long day made it a welcome destination. The drive from Apollo Bay to Lorne was only 45 kilometers, but it took me an hour and a half, partly because of the winding roads, but also because I stopped every 10 minutes for photographs. Lovely bit of coastline–gentler than the one I left behind, but still impressive, with long beaches, sparkling water, and dark, green mountains. I stopped for lunch in Lorne. 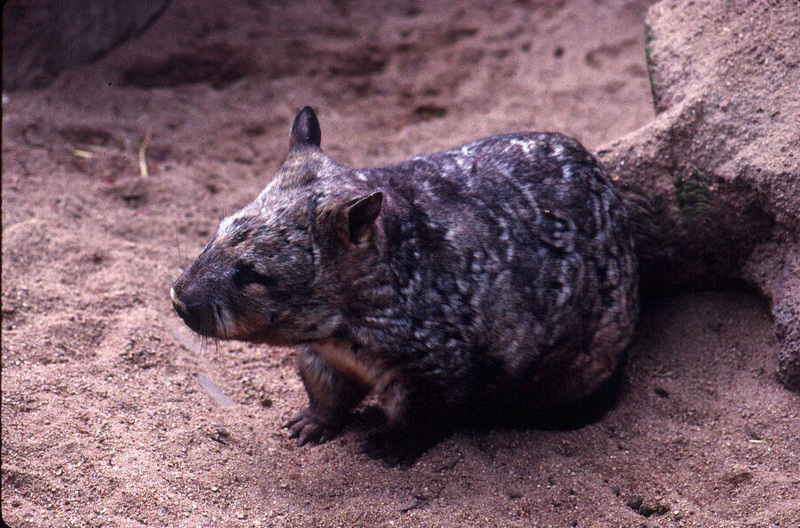 I was here on my first trip to Australia, though coming from the opposite direction. It was on that first drive to Lorne that I decided that I’d have to return to this coast someday and explore it further. So glad I succeeded in doing that. I had chicken and chips from a take-away shop, as I did on that first trip, eating on a beach that was sunnier but only slightly warmer than it had been on my previous visit. Lorne has grown since I saw it last, and it is prettier than I remember. I walked around a bit, looking for things I remembered, especially the golden cypress trees. Then it was time to get back on the road, continuing the drive, shoot photos, drive, shoot photos, drive routine of the morning. 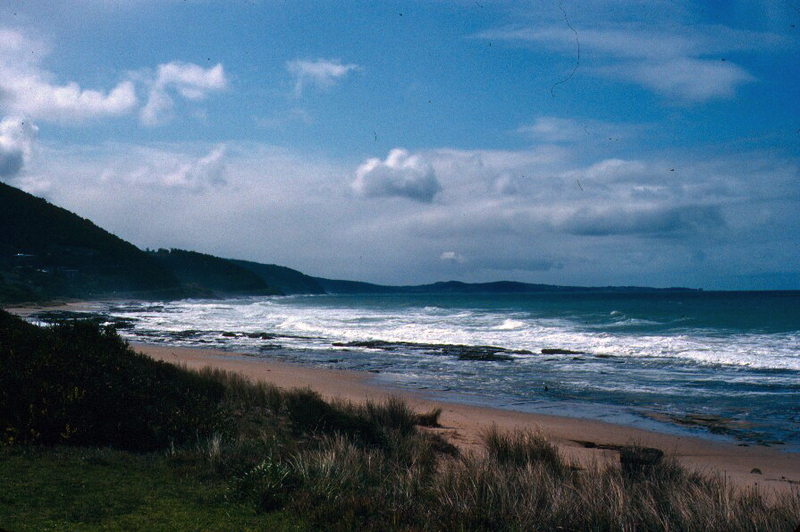 This was still a wildly picturesque bit of coastline, with the mountains (Otway Ranges) rising out of the sea, the road a narrow ribbon clinging to the land’s edge, forests giving way to beaches and small communities, occasional dramatic cliffs, lighthouses –all truly wonderful. Through Aireys Inlet and Anglesea, and around Torquay. Leaving the coastline, I found myself amid surroundings that alternated between increasingly grand cities and handsome farms with broad, green paddocks. Up through the center of Geelong, and on into Melbourne. Driving in Melbourne is a special treat. Ha. Because of the trolleys, you can’t stay in the middle to make a turn, you have to go to the far curb and wait for the light to change, and then turn across all traffic lanes. Glad I only had to do it a couple of times. I dropped the car at the Thrifty office in Elizabeth Street at 3 o’clock. It would be almost an hour before Judy (of the white crash helmet, if you remember her from my book) was due to pick me up, but the folks at Thrifty kindly said I could leave my gear in the office if I’d like to go for a bit of a stroll through town. So off I went, to see how well I remembered Melbourne. There were, of course, changes, but there was also a lot that was familiar. I was not far from the Melbourne Central Shopping Center, which has the unusual distinction of having a historic shot tower rising up through the center of the complex, and I headed there first. I was not interested in shopping, but I enjoyed exploring the shot tower. 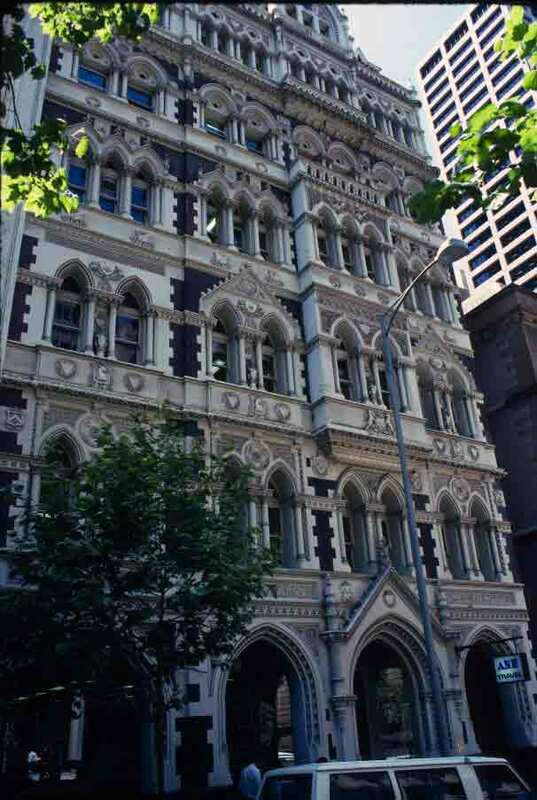 I then continued up Elizabeth Street as far as Bourke Street and the ornate, old Post Office. I picked a side street and then swung back in the direction of Thrifty. I was surprised (and pleased) to find Judy waiting for me. She said she’d known the gear in the corner was mine because she recognized my Akubra (the handsome gray Snowy River hat I bought on my previous trip). We grabbed my bag and set off down the two blocks to where Geoff, Judy’s husband, awaited us in the Land Cruiser. 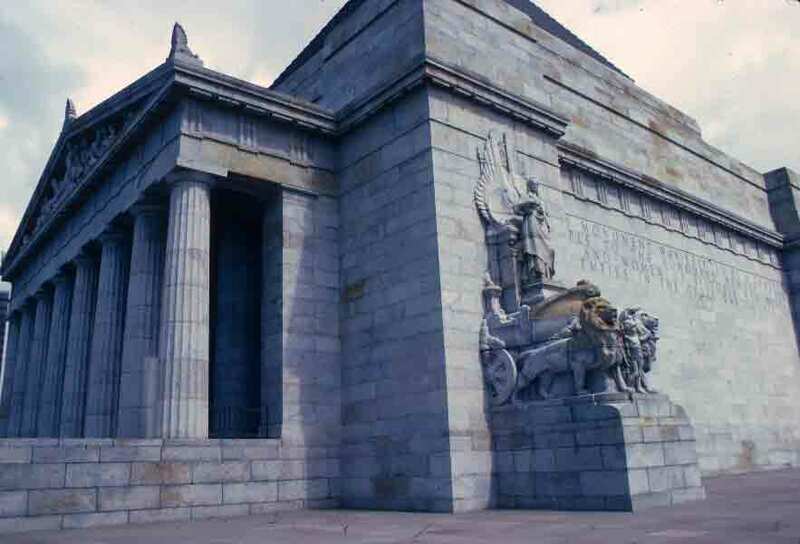 The Shrine of Remembrance is among the most widely recognized of Melbourne’s landmarks. 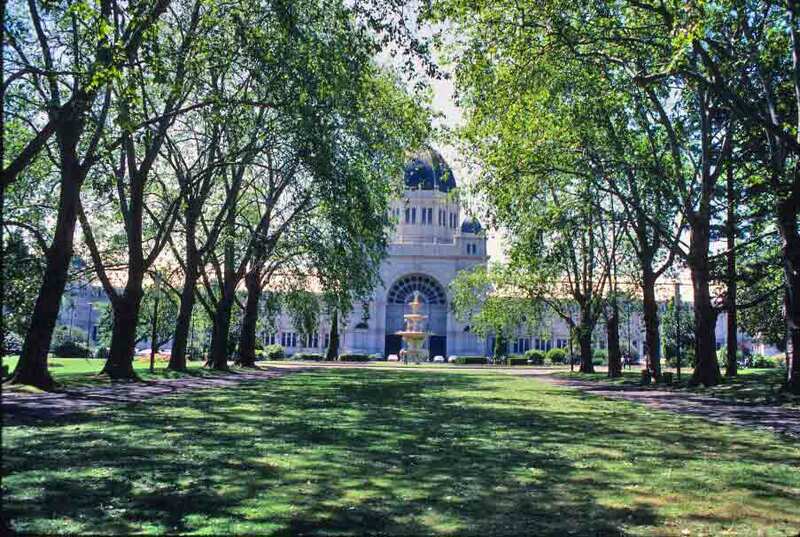 Built to honor citizens of Victoria who served and died in World War I, it is the largest and most visited war memorial in the state. The inscription on the side refers to “the Great War,” because when it was constructed, no one could imagine that there would be another war on such a scale. Australians entered WWI when Britain did, in 1914. (The U.S. didn’t enter the war until 1917.) Australians were almost always at the forefront of the worst fighting in the war, from Gallipoli to Beersheba to France, and they sustained tremendous casualties. Despite being in the middle of a major economic depression after the war, the people of Victoria felt it was so important to honor those who served that the money needed to build the monument was raised in six months. The monument has been modified over the years, with the addition of a forecourt to honor those who served in World War II, and a Remembrance Garden for wars since 1945. The Shrine of Remembrance is where Victorians hold their annual observances for ANZAC Day (April 25—the date that the ANZACs landed at Gallipoli in 1915) and Remembrance Day (November 11, like Memorial Day in the U.S.). When my dad was fighting in North Africa during World War II, he met a lot of Australians, and it was in fact some of the friends he’d made, and the stories of them he told, that were the early foundation of my interest in Australia. The connection with my father made me feel acutely my debt to those honored by the memorial, though in all truth, I am moved by the sacrifices of any who fought, and fight, to keep the world free. I have both written and spoken, here and elsewhere, about dining in Australia, so if you’ve been following me for a while, you’ll know that I think that Australia is a splendid destination for those who like to eat. In Melbourne, one of the most wonderful manifestations of the excellence of the food options in Oz is the Queen Victoria Market. Founded in 1878, the venerable market covers more than 16 acres—and even that isn’t always enough, so they close down one of the bordering streets on Sundays, to create a café area, so people can linger at the vibrant market. Much of the market is open-air, with only a roof overhead, but there are also enclosed halls for items that need a bit more care, such as fish and meat. The market is divided into several “precincts,” so you can target your shopping, if you don’t want to browse the entire place. 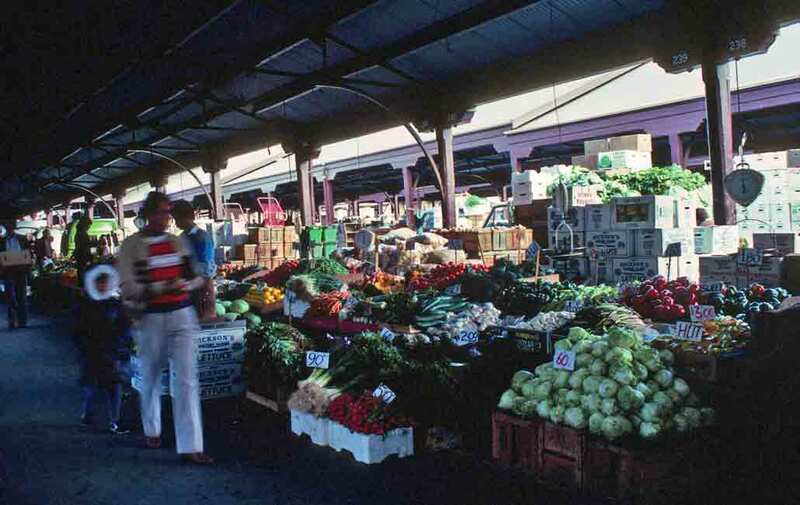 You can visit the Deli Hall, Elizabeth Street Shops, F shed laneway, Market Place Food Court, Fruit and Vegetable precinct, the Meat Hall, Organics, General Merchandise, Victoria Street Shops, and the Wine Market. The building that houses the Meat Hall (or, more properly, the Meat, Fish, and Rabbit Hall) actually predates the market as a whole, having been built in 1868. It houses butchers, fishmongers, and fresh poultry traders. The Deli Hall was a “late” addition, built in 1927. 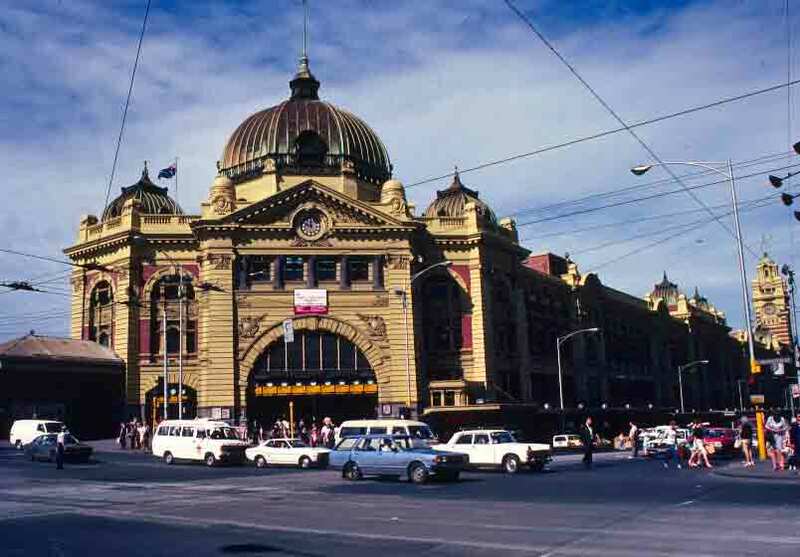 The offerings in this hall reflect Melbourne’s immigrant history, so head here to shop for delicacies from around the globe. The Wine Market is a weekend outlet for smaller wineries that might not otherwise have wide distribution. Fruits and vegetables occupy the largest portion of the market—almost 50 percent of the market is dedicated to fresh produce. The splendid Queen Victoria Market might not be a reason to travel to Australia, but if you’re heading for Melbourne, it’s certainly a place to visit, at least if you’re serious about food.